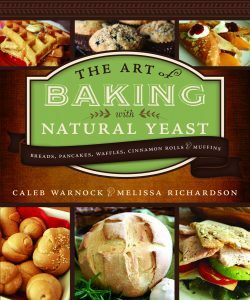 I have recently read the book “The Art of baking with Natural Yeast,” by Caleb Warnock and Melissa Richardson. 10 years ago, I was asking myself “Why is milk, once one of the main staples of civilization, now condemned as “bad” by many medical professionals, including natural doctors who should know better? 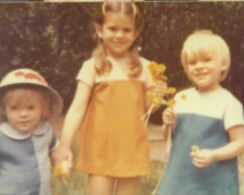 What has changed?” The answer to that question came pretty easily, since milk processing is pretty obvious. Milk, once straight from the cow/goat/etc. is now pasteurized, homogenized, and then even ultra pasteurized in some cases. Anyway, those same questions came to my mind about bread. Once considered the staff of life, now even whole wheat bread (which should be more healthy, because it is a whole food) causes a myriad of health issues, (sometimes even more so than white bread because of the use of rancid flour) and it is not so easy to see the answer. It can’t be easily explained by GMO or hybridization, because people with allergies to wheat or with gluten sensitivities often can’t even tolerate heirloom varieties of grains, even if they soak them and/or grind their own flour. So over the last while, I had been asking myself “What has changed?” This book has an answer to this question that actually makes sense. Another interesting study referred to in the book cites research done on natural yeast that found that people who ate a piece of bread made with natural yeast had a lower glycemic reaction to the carbohydrates in their food, even hours later. As it says in the book, “one woman in Pleasant Grove, Utah recently told us that her husband, who is severely diabetic, was able to eat bread for the first time in years with no glycemic spike when she began making bread for him with a start of natural yeast we gave her.” This could explain the sharp increase in obesity and diabetes over the last 3 decades. Another great point that the authors made was that bread was the STAFF of life, and not the CRUTCH of life, meaning that it was never the main part of the meal, and if you can’t have a meal without bread or grains, then you are relying on your staff way too much. Caleb has a yeast starter that comes from a 100+ year old start of pioneer yeast, and he will send a start of this yeast for free to anyone who buys his book – all you have to do is send him a request with a self addressed stamped envelope. The yeast is an actual yeast start, and not a sourdough starter, and so it looks, tastes, and smells like yeast bread.